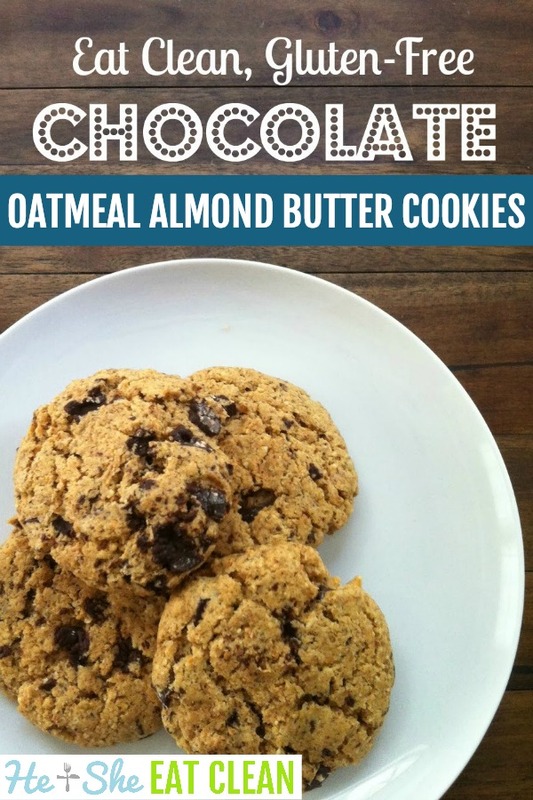 These Chocolate Oatmeal Almond Butter Cookies are amazing! A clean eating, gluten-free treat under 100 calories – you can’t go wrong! Chocolate Oatmeal Almond Butter Cookies that are gluten-free and clean eating approved?! Yes, it’s true…they do exist! Use this recipe to stay on track with your healthy eating goals. In a medium bowl, combine the first six ingredients until blended. Stir in Chocolate. Drop dough by rounded tablespoonfuls on to parchment lined baking sheets or non-stick baking sheets. Let cool for approximately five minutes on baking sheets. Remove to a wire rack and let cool for 15 more minutes. These cookies actually freeze well. Just wrap each individually in plastic wrap and pop in your freezer. Made these last night! Major success! They are so yummy!! Thanks for the recipe Gang!